Want to know the best time to plan a vacation as a private editor? The bulk of my weddings are edited between April and November, but I edit DOUBLE the amount of weddings in May, June, September, and October than I do in the other months. If I’m going to be deliberate about taking a vacation and know that work is not continuing to pile up while I’m gone – I plan that vacation in any other month outside of those four. See, understanding when to plan a vacation starts with understanding your client’s schedule. And I make it a focus during the off season (typically in March) to reach out to all of my clients and get their booked wedding dates. Are they 100% accurate at that time? No. Does it help forecast? YES, it is a huge help! This year, my clients were on average >80% booked for the entire year by March. This allowed me to put their wedding dates into my forecasting calendar file and project my editing season. I’m able to project income. I’m able to see slower months and (if I want to add clients) focus on adding clients with a heavier concentration during my slow months than my busy months. Plan vacations around the heavy months, and especially around the heavy weekends. So why didn’t I follow my own advice and take a vacation when the workload was slower? There was no way I was going to miss my sister in law’s wedding, even if it was in the heart of one of my busiest months! When you find yourself in this situation, here is what I recommend. Talk to your clients a couple months before your vacation and give them a head’s up. 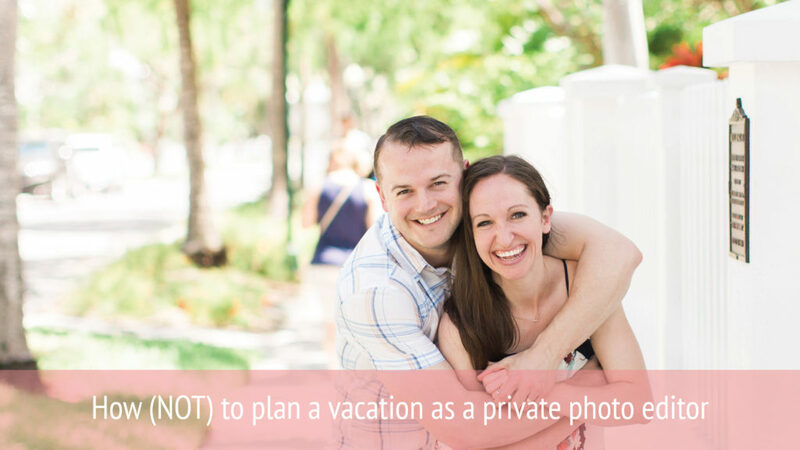 Ask them to be as quick as possible sending weddings the 3 weeks leading into vacation, and let them know that return windows will likely be increased the couple weeks after the vacation. Remind them 3 weeks out. In the end remember to give yourself grace! It’s more than okay to take some downtime with your family.